Televisions do a lot. Between controlling smart home devices, browsing the internet and playing games, they are practically computers. However, when it comes to which one to buy, no criteria are more important than how good the picture is, the quality of the sound and how easy it is to use. TCL and Hisense are snapping at the heels of the top dogs. However, they are still tiny terriers compared to LG, Panasonic, Samsung and Sony, which are present in the majority of living rooms. 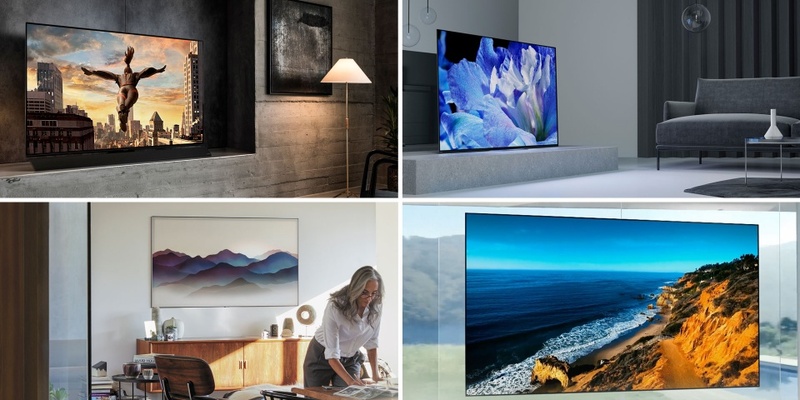 These four leading manufacturers also push the boundaries of what a TV can do year after year, making things like roll-up screens more than just a fantasy. When it comes to the basics though – picture, sound and ease of use – which brand has the edge? Not sure how big a TV you need? Use our tool to see what size will suit your sitting room and then take a look at our recommendations for each size. LG, Panasonic, Samsung and Sony: who does it better overall? We’ve split picture quality into four categories to see which brands are best, on average, at SD, HD and 4K resolutions. We’ve also looked to see which brand implements HDR the best. The maximum a TV can get in any of our tests is five stars. Standard definition (SD) picture quality is your standard television resolution, below high definition (HD) and 4K. But while SD content may be long in the tooth, there’s still plenty of it out there. Take a look at all the TVs that scored at least four stars for overall picture quality to find a model that does this resolution justice. High definition – or HD – TV is of a much higher resolution than SD, and its content is becoming much more common. Scroll through your Freeview TV guide, for instance, and you’ll see all the major channels broadcasting in HD. Still undecided if you need a HD or 4K TV? Take a look at all our HD TV reviews to see if there quality comes close to matching a 4K model. 4K is also known as Ultra HD. And while you might not see many channels broadcasting in 4K, most of the TVs released in 2018 were 4K and 2019 will be no different. Streaming services like Netflix and Amazon Prime Video offer thousands of hours of 4K content combined – and you’ll need a 4K TV to be able to enjoy it. Our top 4K TVs page shows which models display this resolution best and see if it matches the average scores. If a TV is 4K then it supports HDR, too. HDR enhances 4K by helping to make colours appear more vibrant and detailed. At the moment, HDR content is few and far between – but if you plan to have your television for a while, it’s worth making sure it has this feature to future-proof your purchase. Read our guide on HDR to find more about the five different formats and which brands support which ones. The best looking TV in the world is no good if the sound quality is lacking – and we’ve tested plenty of TVs with subpar sound. Our best TVs for sound page highlights the top acoustic performers. Modern TVs do plenty, but that shouldn’t make them any more difficult to use. Click through to see TVs that score at least four stars for ease of use. Averages can be a decent indicator of a brand’s overall quality, but we tested more than 170 TVs last year and found outliers from every brand. Samsung took the top spot (just) in many of these tests, but one of its TVs we tested in 2018 scored just 46%, while its best model managed 75%. Samsung isn’t the only brand with such a breadth of scores and quality either. Our testing of LG’s 2018 range found a Don’t Buy, but LG also released our top scoring TV of the year. Panasonic’s best TV from 2018 was 29% better than its worst and Sony’s was 28% better.